Why didn’t Amazon buy Borders.com? On September 26, 2011 the federal bankruptcy court approved the sale of Borders’ brand trademarks, domain names, and customer lists to Barnes & Noble for approximately $14 million. The true value of the sale was just shy of $16 million but a bookseller — in Malaysia! — bought the remaining assets totaling approximately $2 million. 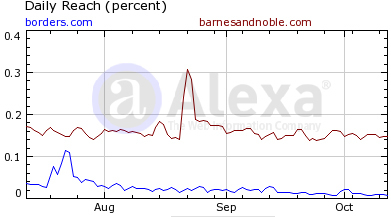 As a result, Barnes & Noble received customer information, mailing lists, and all the traffic resulting from www.borders.com – it now forwards directly to barnesandnoble.com. 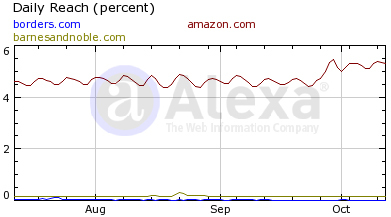 Next Next post: Should Amazon have bought Borders.com?